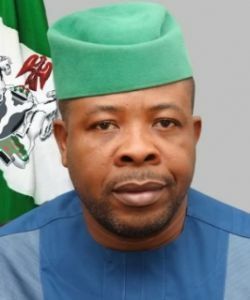 A group known as Ihedioha Youth Movement in Imo state have vowed to deliver the PDP governorship candidate, Emeka Ihedioha in the 2019 governorship election in the state. The state coordinator of the group, Engr. Rex Okoro stated this last Thursday in Owerri during the opening of their office and their maiden meeting in honor of Chief Ihedioha. Okoro revealed that he joined the gubernatorial candidate in his struggle to become Imo State Governor because of his encounter with him during his school days in Imo State University adding that, Ihedioha has empowered so many youths and now is the time to pay back. Engr Okro noted that by voting him, Imo people will taste good leadership because of his capacity to deliver. The patron of the group, Hon Chuks Chilaka, the Deputy President Ohanaeze Ndigbo in South Africa, and Co- coordinator Ihedioha Vision 2019, said, many of them are coming home to support Chief Ihedioha because he means well for the State. He stressed that Ihedioha is the only one that would be able to rescue Imo state from the shackles and underdevelopment bedeviling Imo. Also speaking, Hon Anayo Osuji from Owerri West noted that they came in continuation of the already existing support people of Owerri West have given to Chief Ihedioha, adding that God will decide who rules Imo state. He pointed out that for the sake of fairness and equity, Owerri zone should have the governorship candidate, describing Emeka Ihedioha as a person who is going to make the state better if elected.